QF984 Port Hedland – Brisbane. QANTAS A380 VH-OQI Operates Delayed QF2 London Heathrow – Singapore – Sydney Service. Following the technical return of yesterday’s QF2 London Heathrow – Singapore sector to London Heathrow, yesterday’s delayed QF2 London Heathrow – Singapore – Sydney was operated as QF2 this evening by QANTAS A380 VH-OQI. QANTAS A380 VH-OQB QF1 Overnight Singapore Delay. QANTAS A380 VH-OQB operated the Sydney – Singapore sector or QF1 Sydney – Singapore – London Heathrow this afternoon, however the onward sector to London Heathrow has been delayed overnight. This was due to minimum rest requirements for the UK based cabin crew for this sector who had been delayed into Singapore due to late running QF2 London Heathrow – Singapore services. QANTASLink B717-200 VH-YQT Returns from Hobart. Following the technical issue it encountered yesterday, QANTASLink Boeing 717-2BL VH-YQT positioned Hobart – Sydney this evening as QF6202. QANTAS A380 VH-OQC operating QF94 Los Angeles – Melbourne (depart Los Angeles 8th November) diverted to Brisbane this morning in a planned operation. The aircraft positioned Brisbane – Melbourne as QF6005 early this afternoon then operated today’s delayed QF93 Melbourne – Los Angeles as QF93D. QANTAS B787-9 Dreamliner Names Announced. 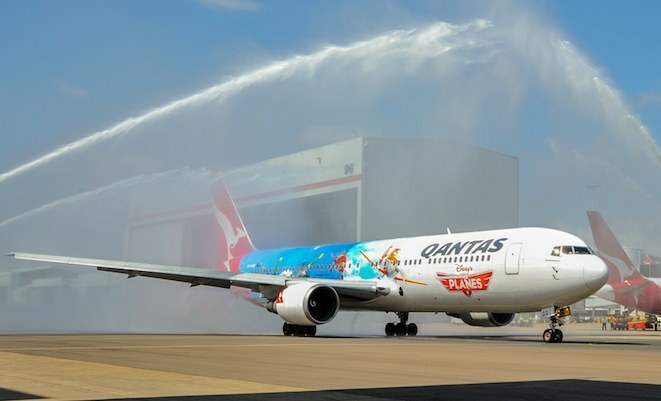 Following a public vote on 24 names, with over 45,000 votes cast, QANTAS today announced that the names of the initial eight Boeing 787-9 Dreamliners will be (in no particular order), Skippy, quokka, boomerang, Waltzing Matilda, The Great Barrier Reef, Ulura, Dreamtime and Great Southern Land. QANTAS B737-800 VH-VXR Returns from Darwin. Following the technical issue it encountered yesterday, QANTAS Boeing 737-838 VH-VXR positioned Darwin – Brisbane this afternoon as QF6112. QANTASLink B717-200 VH-NXL Returns from Darwin. Following technical issue it encountered yesterday, QANTASLink Boeing 717-2BL VH-NXL positioned Darwin – Alice Springs as QF6200 this afternoon then returned to service operating QF1948 Alice Springs – Cairns. 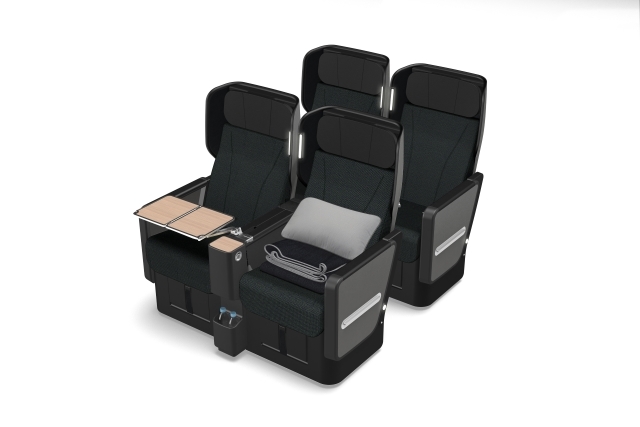 QANTAS Unveils Dreamliner Premium Economy Seat. QANTAS today unveiled the Premium Economy seat for its Boeing 787-9 Dreamliners. The seats will be in a 2 – 3 – 2 configuration with a 38″ pitch and maximum 22.8″ width. The seat will have a new “Z” recline feature and a new style leg and foot rest. QANTAS B737-800 VH-VXC Operates Brisbane – Canberra Extra. QANTAS Boeing 737-838 VH-VXC operated an additional Brisbane – Canberra sector this evening as QF1313 operating in place of QANTASLink. QANTAS B737-800 VH-XZA Operates Christmas Creek Fifo Rotation. QANTAS Boeing 737-838 VH-XZA operated a Perth – Christmas Creek Fifo rotation early this morning as QF1380/QF1381. QANTAS A330-200 VH-EBL Operates New Zealand Freight Flights. QANTAS A330-200 VH-EBL operated the QF7523/QF7524 Sydney – Auckland – Christchurch – Sydney freight circuit tonight in place of the usual dedicated Boeing 767-300ER freighter. QANTASLink B717-200 VH-NXL Returns from Canberra Maintenance. QANTASLink Boeing 717-231 VH-NXL which has been under maintenance at Canberra since 7th October, positioned Canberra – Perth early this evening as QF6200. QANTAS B737-800 VH-VZS Enters Brisbane Maintenance. QANTAS Boeing 737-838 VH-VZS entered the Brisbane maintenance facility this evening after arriving as QF596 from Perth. JOTA Aviation BAe146-200 G-SMLA Positions for BA CityFlyer Operations. JOTA Aviation BAe146-200 G-SMLA positioned London Southend – London City as BA9752 this afternoon in order to operate the BA8706/BA8709 London City – Edinburgh rotation. The aircraft then positioned London City – London Southend as BA9753. QANTAS B737-800 VH-VXM Operates Solomon Airlines Lease. QANTAS Boeing 737-838 VH-VXM operated on lease to Solomon Airlines today operating IE700 Honiara – Brisbane. QANTAS B737-800 VH-VXN Operates Solomon Airlines Lease. QANTAS Boeing 737-838 VH-VXN operated IE700 Honiara – Brisbane on lease to Solomon Airlines today. QANTASLink B717-200 VH-YQT Canberra Test Flight. QANTASLink Boeing 717-2BL VH-YQT, which has been under maintenance at Canberra since 31st December 2015, undertook a Canberra – Canberra test flight late this morning as QF6200. QANTASLink Boeing 717-231 VH-NXL, which has been under maintenance at Canberra since 16th August, returned to service this evening operating QF1522 Canberra – Sydney. QANTAS A380 VH-OQF operating QF8 Dallas-Fort Worth – Sydney (depart Dallas-Fort Worth 28th February) diverted to Brisbane this morning. The diversion was decided upon either before departure from Dallas-Fort Worth after the aircraft was delayed by a steering issue. Crew has sufficient hours to reach Brisbane but not to reach Sydney. Passengers were dispersed onto Domestic services and the aircraft positioned Brisbane – Sydney as QF6001 with a new crew. QANTAS B737-800 VH-XZA Operates Perth – Brisbane Extra. QANTAS Boeing 737-838 VH-XZA operated an additional Perth – Brisbane sector this afternoon as QF6200. QANTAS B747-400 VH-OJM Operates Return RAAF Charter. QANTAS Boeing 747-438 VH-OJM operated a Minhad Air Force Base – Darwin – Brisbane – Sydney charter for the RAAF this morning using callsign ASY1 but internally coded as QF6032 in QANTAS systems. On the final day of QANTAS Boeing 767-300ER passengers operations, Boeing 767-338ER VH-OGO was the second aircraft to be withdrawn after operating QF524 Sydney – Brisbane. QANTAS A380 VH-OQL Operates Dallas-Fort Worth A380 Inaugural. QANTAS switched the QF7/QF8 Sydney – Dallas-Fort Worth service from Boeing 747-400ER to A380 operation with VH-OQL operating the inaugural A380 service. QF8 will now operate as a direct Dallas-Fort Worth – Sydney flight. To mark the event VH-OQL had decals of a ten gallon hat and neckerchief added to the tail logo. QANTAS B737-800 VH-VZT Returns from Brisbane Maintenance. QANTAS Boeing 737-838 VH-VZT, which has been under maintenance at Brisbane since 4th September, returned to service this morning as QF507 Brisbane – Sydney. QANTAS Announce Extra Peak Season Melbourne – Los Angeles Services. QANTAS A380 VH-OQB QF2 Bahrain Diversion. QANTAS Further Defers A380 Orders. QANTAS today announced that it has further deferred delivery of the final 8 A380s that it has on order. QANTAS B767-300ER VH-OGG Operates “Planes” Premiere Flight. QANTAS Boeing 767-338ER VH-OGG operated a Sydney – Sydney flight as QF6620 this morning for the Australian premiere of the Disney film “Planes”. The aircraft has had a special “Planes” livery applied. QANTAS B767-300ER VH-OGG In Special “Planes” Livery. QANTAS B737-800 VH-VXG Unveiled in “Bring It On” Rugby Scheme. 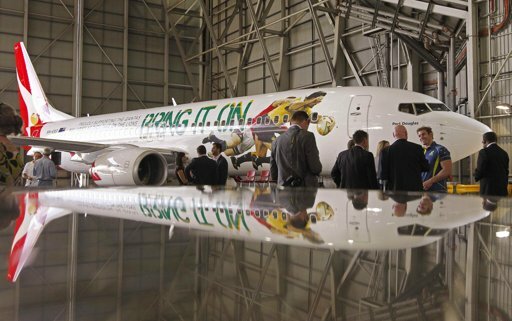 VH-VXG in “Bring It On” British Lions Rugby Tour Scheme. QANTAS B747-400ER VH-OEF Returns from Xiamen Maintenance. QANTAS Boeing 747-438ER VH-OEF, which has been under maintenance at Xiamen since 12th August, positioned Xiamen – Sydney this evening as QF6024. The aircraft has been repainted into new ‘Roo livery with OneWorld Titles. Prior to positioning to Xiamen the aircraft was reconfigured to 58J/36W/270Y configuration at Avalon. QANTAS A330-200 VH-EBO Returns to Service. QANTAS A330-200 VH-EBO returned to service today operating the QF581/QF582 Sydney – Perth rotation. QANTAS A330-200 VH-EBO Returns to Sydney Maintenance. QANTAS A330-200 VH-EBO positioned Melbourne – Sydney as QF6115 today and returned to the JetBase for further maintenance. QANTAS A380 VH-OQG First Flight. QANTAS A380 VH-OQG made its first flight from Toulouse today wearing test registration F-WWAD. Withdrawn QANTAS A330-200 VH-EBD Positions to Manila Maintenance. Withdrawn QANTAS A330-200 VH-EBD positioned Melbourne – Brisbane – Cairns – Darwin – Manila for maintrnance today as JQ7990. QANTAS A330-200 VH-EBC Returns from Manila Maintenance. QANTAS A330-200 VH-EBC, which has been under maintenance at Manila since 8th October, positioned Manila – Melbourne this evening as QF6008. 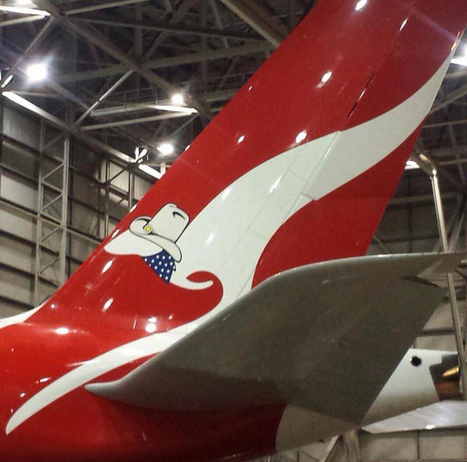 The aircraft has been repainted into all white livery with QANTAS titles. QANTASLink Boeing 717-2K9 VH-IMP was re-registered VH-NXI today. QANTAS Boeing 737-838 VH-VYI began its delivery flight today routing Boeing Field – Honolulu – Nadi – Melbourne as QF6020. The aircraft in 12J/156Y configuration and QANTAS 1984 livery. This brings the QANTAS B737-800 fleet up to 30 aircraft. QANTAS B737-800 VH-VYA Positioning Flight. QANTAS Boeing 737-838 VH-VYA positioned Christchurch – Sydney as QF6018 today following winglet fitting. QANTAS Boeing 747-438 VH-OJS was named “Hamilton Island” at Sydney today. QANTAS B737-800 VH-VXP Positioning Flight. QANTAS Boeing 737-838 VH-VXP positioned Brisbane – Melbourne as QF6122 today prior to service entry. QANTAS B747-400 VH-OJR First Flight. QANTAS Boeing 747-438 VH-OJR made its first flight today.